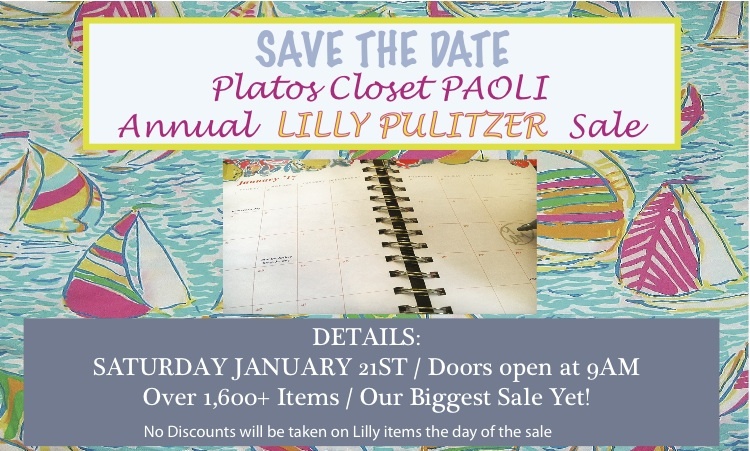 Don’t miss out on one of the biggest Plato’s Closet events of the year! On Saturday January 21st, the shop will have over 1,600 exclusive Lilly items to choose from. Which will you take home? Doors open at 9 AM. Check the Plato’s Facebook page for the latest updates.